We adopted a bilateral approach to complete robotic extended thymectomy with the excision of the pericardial fat tissue from both sides and analyzed the initial outcomes. The patient cart was docked first from the left shoulder side. After dissection of the thymus and right pericardial fat tissue, the cart was temporarily rolled out, and the bed was rotated approximately 90° clockwise. The cart was then re-docked from the right-side shoulder, and extended thymectomy was performed via the left-side approach. The outcomes were compared with four cases of unilateral approach performed for mediastinal tumor in the same term. Four patients with myasthenia gravis (two of whom had stage I thymoma) underwent extended thymectomy by the bilateral approach. The mean operative time was 288 min, and the console time was 146 min in the right side and 67 min in the left side. The resected thymus and surrounding adipose tissue were almost symmetrical, in contrast with those obtained via the unilateral approach. No remarkable events were noted. 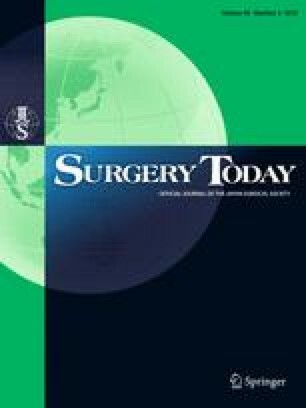 Bilateral extended thymectomy for myasthenia gravis patients was safe and reasonable based on the initial outcomes.